Every high schooler hears the same old speech: don’t have money to pay for college? Scholarships are your golden ticket. But don’t you have to be some kind of high school super genius to get a scholarship? Not necessarily. There are millions of scholarships available for up-and-coming college students, and almost as many ways to earn them. It just takes time and effort to find them. By the time you finish this post (so in, like, 6 minutes), you should understand how scholarships work and be fully equipped to jump head first into the scholarship application process. Grants are awarded based on the student’s financial needs. Financial aid—i.e. federal student loans—must be paid back. A scholarship falls into neither of these categories. Scholarships are privately-funded, free gifts of money. But they’re not just given to anyone. Unlinke grants and financial aid, scholarships must be earned. When I was a student considering scholarship application, I imagined getting a full ride to whichever college wanted me most. While this kind of scholarship does exist, it’s by no means the only kind you can win. The full spectrum of scholarships range from just a couple hundred bucks to thousands and thousands of dollars. And they’re available from more than just colleges. Communities, religious institutions, and even private citizens all want you to earn your degree. And they’ll help you out a lot, if you can prove you deserve it. Okay, so understanding scholarships isn’t that difficult. What about actually earning them? Since I’m not scholarship expert, I decided to get advice from someone who is. Rebecca Decker, one of our Academic Counselors, has helped thousands of students navigate the “how do I pay for college” question for over 6 years. I figured she’d be the perfect person to ask for scholarship advice. Turns out, she had quite a lot to share—from both her own personal experience and her work coaching hundreds of students through the scholarship application process. Rebecca recommended a simple, 3-step scholarship application system that will not only ensure you’re covering all of your basis, but hopefully also remove the giant ball of stress churning in your stomach. When should you start applying for scholarships? How many scholarships do you want to apply for? How often will you work on them? Rebecca recommends starting the application process the summer after your Junior year of high school. However, it’s not as simple as just starting. Applying for scholarship after scholarship can be long and grueling, and the worst part is every scholarship is a little different. Most require essays, many require letters of recommendation, and some require even more work beyond even that. If earning a college scholarship is important to you and your future, you can’t go in blind. You need a plan. Unfortunately, predicting how many scholarships you’ll actually earn toward college is nigh impossible. But you can at least decide how much effort you’ll be putting into the application process. You can choose how much time to invest, how many scholarships you’ll apply for, etc. When she was a student, Rebecca’s personal goal was to apply for 3 scholarships every Friday night. She treated it like a job. No matter how long it took, her responsibility was to apply for 3 scholarships every Friday night. Once you’ve created your plan of attack, share it with your parents. Not only can they help keep you accountable, but this will also set firm expectations of how much effort you’re putting into this process. No one should be left resenting your “lack of effort” when the tuition bills start rolling in. The best way for the modern student to apply for scholarships is to use any of the million and one scholarship search engines that populate the web. Some students think it’s advantageous to set up and manage profiles on multiple engines, but the truth is each engine typically searches the same pool of available scholarships. So save yourself the headache by sticking with just one or two. When I asked Rebecca which scholarship search engine she recommended, she didn’t hesitate for a second: fastweb.com. This site has you complete a general questionnaire when you set up your profile. Based on your answers, it will filter your view of the 1.5 million scholarships available, giving you easy access to every scholarship you’re eligible for. Setting up the account is easy. But it doesn’t actually submit the applications for you—that’s your job. You couldn’t apply for a scholarship because someone hasn’t finished a reference letter? That’s not a good excuse. Remember, finding scholarships is 100% your project, and it’s up to you to make sure it happens on time. Your teachers and friends are busy people, and they may not have the time or brainspace to write five reference letters for you. Take the lead and make the process easy for everyone: ask your reference-givers to each write a single letter and give them a deadline (nicely). Get permission to mass produce it and then print out multiple copies with a note at the bottom stating you were given permission mass produce. Once you’ve printed out as many letters as you think you’ll need, bring the stack back to the author, so they can sign the copies all at once. 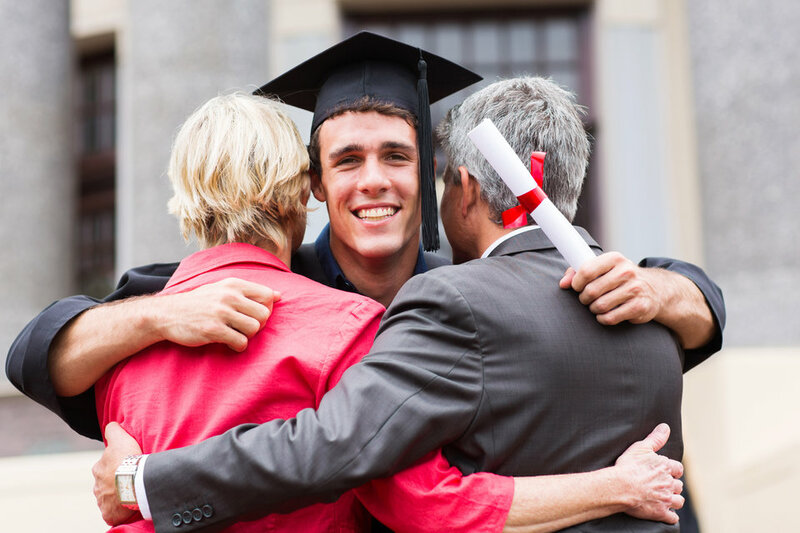 Winning scholarships takes effort, but with good leadership and creative organization, you can make the whole process easier on everyone involved. If you really want to earn that money, leave your excuses behind and make things happen. I wish I could tell you exactly what to apply for and how to write a winning essay. But the fact is, since the scholarship pool is so varied, the best thing you can do is follow the steps outlined above and just jump in. However, I can leave you with one final piece of advice: while scholarships are a great way to pay for college, they may not be the best way. Applying for scholarships is a lot of work, often for very little reward. Pushing for a free ride to a $40,000 a year school may simply be unfeasible. So in addition to earning scholarship money, consider lowering your overall college costs in other creative ways. Saving money on college is our specialty here at Unbound. With our help, most Unbound students end up cutting their college costs in half. And they don’t have to write a single essay to do it. Enjoyed this post? You might also like How Does Financial Aid Work?